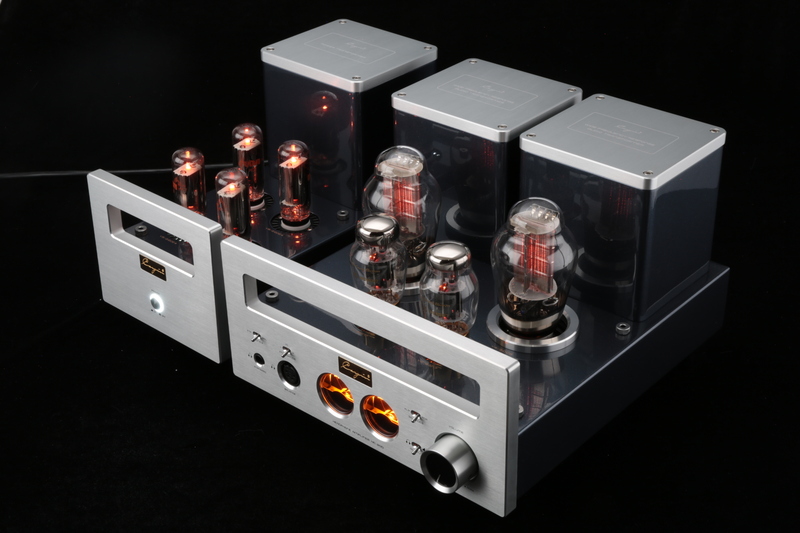 Cayin’s HA-300 came about as an 18 month expedition to create a headphone amplifier that would meet the expectations of audiophiles. To deliver on that promise, the HA-300’s circuitry was designed to utilize the musical fidelity of the 300B tubes, powered by custom-built transformers to create perfectly balanced output through the headphones. The amplifier also utilizes a two-box design; a dedicated tube-controlled power supply and the amplifier. To add to Cayin’s traditional high standards of quality, this amplifier is built with US-Aviation grade electrical plugs and RC22DE4 rectifier tubes to provide clean DC power to the 300B tubes. 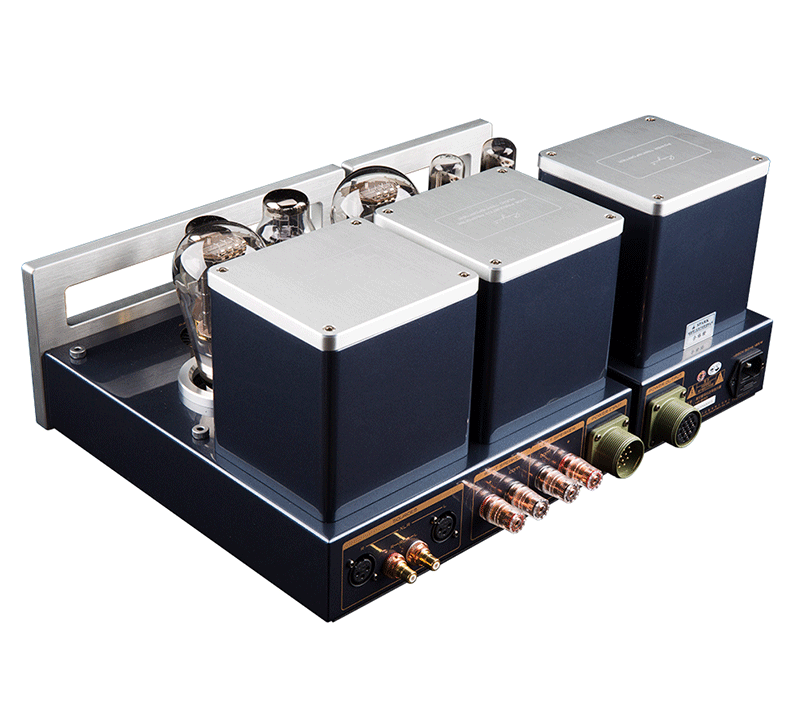 All in all, the HA-300 amplifier is a powerful workhorse that will live up to the hopes of audiophiles. 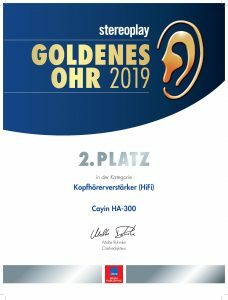 As of 3/12/18, The HA-300 has won 2nd in Stereoplay’s Golden Ear Award for Headphone Amplifier. First, a quick word about the amp as a product. Everything about it suggests a labor of love. The build quality is absolutely top notch and the packaging and product presentation are quite luxurious. Also, the HA-300’s VU meters are large enough to be easily read but not so large as to overwhelm the amp’s understated beauty, and the tube cages fit snugly enough not to resonate but are easy to remove – even while the amp is operating, if desired. As you would expect with a finely-tuned 300B amp, the midrange and high-end are spectacularly beautiful – as unforced as I’ve ever heard with lots of air and a lovely natural-sounding decay (especially with human voice), and the amp has precise, consistent and utterly believable sound-staging. But the HA-300 also delivers beautiful, rich bass – surprisingly so given its topology and relatively low wattage. The lower registers are lush and warm without sacrificing detail or descending into mush. To be clear, the HA-300 is definitely an SET amp – the bass doesn’t ever quite slam­ – but unless you’re listening primarily to funk or some other genre dripping with over-hyped electric bass, the integrity and sweetness and of the HA-300’s lower register will be all you need or want.